What do heights, small spaces, public speaking and visiting the dentist all have in common? The answer is that these are all common fears. If you have a dental phobia, you are certainly not alone. In fact, statistics show that approximately 15% of Americans suffer from dental anxiety to some degree. In some cases, the fear can simply cause anxiety and discomfort manifesting in symptoms such as an elevated heart rate and sweaty palms. In others, it can cause panic attacks and debilitating fear. Dental phobia can occur for a number of reasons but for many people, fear of the dentist begins with a painful childhood experience. For this reason, it is important for children to have a positive experience on their first visit to the dentist and throughout their childhood. If your fear of the dentist is mild to moderate, you can employ coping strategies such as deep breathing exercises, meditation, listening to music and talking through your fears to get you through your dental experience. However, if your dental phobia is severe and makes it difficult for you to receive the dental care that you need to maintain healthy teeth and gums, you may want to talk with your dentist about Sedation Dentistry. Sedation dentistry involves the use of either inhaled, oral or intravenous sedative medications. These medications can be used to ease your dental phobia and anxieties make your experience at the dentist more tolerable and even enjoyable. 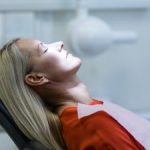 With today’s advanced dental techniques and technology as well as the various options for Sedation Dentistry, there is no need for you to fear going to the dentist. If you have been putting off needed dental work or a dental cleaning and checkup due to a dental phobia, talk to your dentist about Sedation Dentistry today. Nothing strikes fear in the hearts of men and women more than a root canal procedure. For some reason, this highly effective dental procedure that can be used to treat a tooth that has become infected or is severely decayed has received a bad reputation. Most people think that root canals are really painful when, in fact, a root canal procedure is used to eliminate the pain being caused by an infected tooth. Although most people fear a root canal, most are not really certain what is involved. A root canal procedure is a dental treatment that is used to restore and/or save a tooth that has an infection in the nerve and pulp contained in the center of the tooth. The procedure involves removing the infected nerve and pulp from the center of the tooth, cleaning the area and then sealing it to prevent further infection. Before a root canal procedure, your dentist will administer a local anesthetic using an injection at the site of the affected tooth. This will serve to numb the area. You may also receive either inhaled or oral sedative medications to help you relax during the procedure and to prevent pain. In most cases, the recovery from a root canal procedure is quick and involves minimal pain. Most people are able to manage the pain with over-the-counter, NSAID medications. In some cases, prescription pain pills may be prescribed. You should let your dentist/Endodontist know if you are experiencing significant pain after a root canal procedure as this may be a sign of a complication. The bottom line is that there is no need to fear a root canal procedure. The worst thing you can do is fail to seek treatment for an infected tooth as this can lead to serious complications such as an abscessed tooth and even tooth loss. According to recent studies, as many as 75% of the population report some degree of dental phobia. 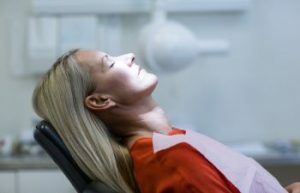 For many, this fear is centered around dental anesthesia injections. For most, it is inconceivable to think of undergoing dental procedures such as fillings or root canals without anesthesia injections. However, for many, the thought of dental anesthesia injections conjures almost as much fear and trepidation as the actual procedure itself. The good news is that researchers at the University of Buffalo have devised a nasal spray that could replace needles for most procedures. The nasal spray, Kovacaine Mist, is manufactured by S. Renatus LLC and has been found to be as effective as injectable anesthesia in four out of five patients in clinical studies. The U. S. Food and Drug Administration is currently conducting safety trials. If the FDA concludes that it is safe, it could be approved as early as next year. If this anesthesia mist is approved for treatment, it could have significant implications for dental practices. By offering a nasal mist in place of injectable anesthesia, dental practices will be able to attract patients who have avoided treatment in the past due to fear of needles. This could also have a significant impact on the dental health of many Americans. Failure to receive needed dental care only leads to more serious, painful and expensive dental problems. If this nasal mist causes patients to seek treatment in a more timely manner, it could significantly increase the dental health of many Americans and reduce the overall cost of dental care.